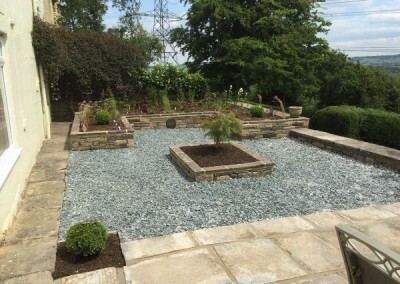 Garden Design Brief: To create a low maintenance slate garden with an Acer as a feature and raised wall flowerbeds. 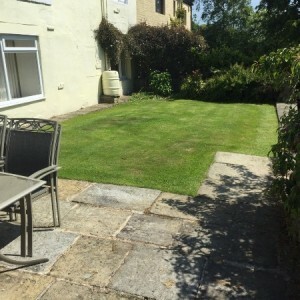 See how we transformed this garden into a low maintenance outdoor space. 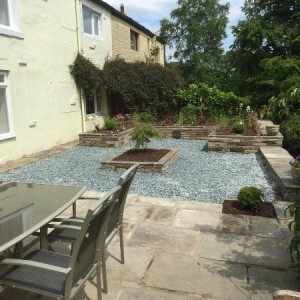 We extended the York stone patio and created raised flower beds with locally sourced stone. 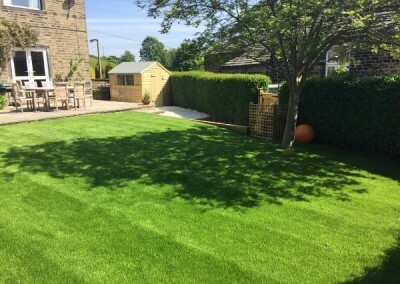 The flower beds are a mix of herbaceous plants and evergreen grasses and box hedging, finished off with green slate. Thank you for the brilliant job you have made of my garden. 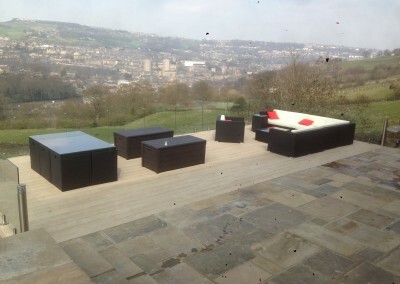 We are delighted with the job you have done and lots of people including complete strangers have been very complimentary about it. We would also like to pass on our appreciation to the guys who were an absolute pleasure to have on the job, an opinion also mentioned by neighbours. They were always cheerful and work extremely hard and are a real asset to your business.